While not technically a “toy”, it’s hard to ignore the impact of the Kindle during the holiday shopping season. 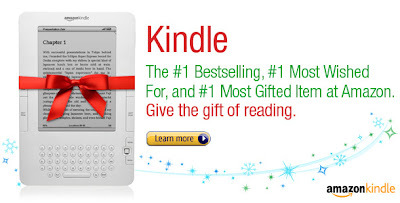 As stated in the graphic above, the Kindle is the #1 best selling, #1 most wished for, and #1 most gifted item at Amazon — and that is quite a feat! Most teens or adults who loves to read would be glad to receive the Kindle as a gift this year. If you are giving the Kindle as a gift this year, you may also want to include the Kindle Leather Cover or even an Amazon Gift Certificate so the recipient can get a few books on their Kindle right away.